Imagine going on a grocery trip with your favorite chef to pick out ingredients for dinner at a local market and then learning techniques that they use to create a perfectly seasoned dish, where the flavors sing in harmony and notes of spices spark off your tongue. Imagine tasting wine from a storied vineyard you’ll visit tomorrow with a sommelier and comparing it to others in the region in a tasting. Listen to their stories and ask for their recommendations on their favorite restaurants and cocktails. It’s not just about the food and wine, but also getting to know these epicurean experts on a personal level. 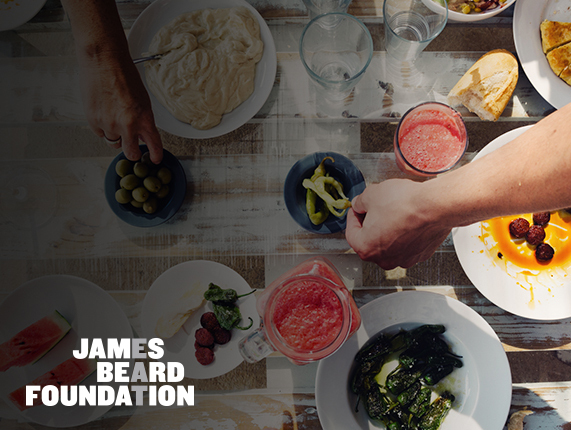 This is Windstar’s James Beard Foundation Culinary Themed Cruise experience, and it’s a once-in-a-lifetime experience to taste dishes from some of the most sought-after James Beard Foundation chefs and sommeliers/beverage experts. 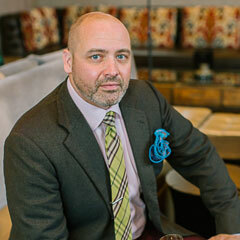 Ryan Davis has spent the past 15 years of his career in both the wine and restaurant industry. He is currently a Regional Manager for the Spire Collection, a luxury portfolio of small producers across the globe. Prior to joining The Spire Collection Ryan oversaw the distribution of a boutique import company, Vine Street Imports. 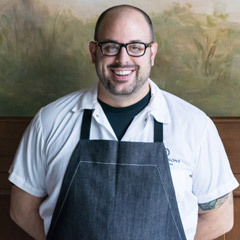 He served as Beverage Director and Sommelier for Daniel Stern Restaurants in Philadelphia, Pennsylvania after moving to the region from Connecticut. He is a Certified Sommelier by the Court of Master Sommeliers. He has been a Regional Finalist for the Chaine des Rotisseurs Best Young Sommelier competition and attended both The Culinary Institute of America and Rutgers University. With over 28 years of experience Jeff has worked in restaurants ranging from corporate chains to family-owned, and from casual to fine dining. Jeff joined the JL Restaurant Group in 2005. He quickly became the assistant manager, then General Manager of Hank’s Oyster Bar in Old Town Alexandria in 2007. There, Jeff worked closely with Chef and Restaurateur Jamie Leeds to develop a thoughtful and concise wine program. 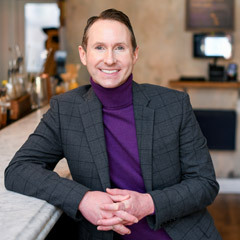 He was promoted in 2008 to General Manager of the flagship Dupont Circle location and in 2015, Jeff was asked to join the corporate operations team focusing upon training and development, of the now hundreds of employees of the company. In his spare time, Jeff continues to explore his love for wine with extensive travel to lesser known wine growing regions like Montenegro and his personal favorite, Croatia. 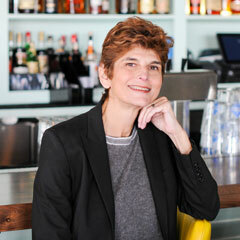 Growing up in San Francisco, Duskie began cooking at the age of five in her EZ-Bake oven. She is a graduate of Brown University and known for being a fierce competitor on Food Network’s The Next Iron Chef. Duskie Estes and John Stewart opened zazu kitchen + farm in 2001. They are committed to buying from local farmers and farming themselves, raising their own rabbits, ducks, chickens, goats, sheep, and pigs. Duskie and John moved to Sonoma County from Seattle where Duskie was the chef of Palace Kitchen and voted City Search’s Seattle Best Chef in 2000. Under her leadership, Palace Kitchen was rated by Gourmet magazine as one of the top 20 restaurants in the country in 2000. 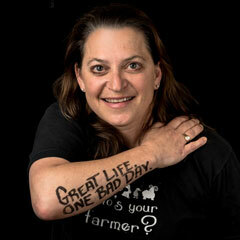 She was coauthor on Tom Douglas’s Seattle Kitchen, which received the James Beard Award in 2001. Zazu has been recommended in the San Francisco Michelin Guide 2008-2018. Duskie and John were on the cover of Wine Spectator, received the Star Chefs’ Sustainability Award in 2009, and were crowned King & Queen of Pork at Aspen Food&Wine, 2011. Chef Chris Pandel, chef/partner of Swift & Sons, Cold Storage, and newly opened Dutch & Doc’s, offers foods that are rooted in classic French technique and predominantly local Midwestern ingredients, making his cooking rustic, yet refined. In 2008, Pandel opened neighborhood eatery, The Bristol with a menu featuring handmade pastas and charcuterie; farm-fresh, locally sourced produce. James Beard Nominee, Balena, opened with a menu consisting of handmade pastas, pizzas from the wood-fire oven, and locally sourced, farm-fresh meats and produce. Pandel opened Formento’s in January 2015, an Italian-American heritage restaurant reminiscent of a1950's "red sauce joint.” At Swift & Sons, opened in 2015, Pandel provides his signature focus on high quality, locally sourced ingredients and classic cooking techniques presenting a menu of reinvented steakhouse classics, “boutique beef,” thoughtful vegetarian dishes and seasonal sides. Pandel then opened Cold Storage, a casual seafood concept offering fresh seafood, salads, and sandwiches. Pandel’s most recent opening is Dutch & Doc’s – a casual, brasserie-style restaurant a mere 500 feet from Wrigley Field’s home plate.